A KSF soldier this day hosted it in a very special way. He gave him a son. Asim Gashi said he feels happier than ever. KSF soldier, Asim Gashi, has experienced two joys in one day. In addition to the news of the formation of the Kosovo army, he was also the son. “I feel very good, because today I have reason to rejoice twice. I and my wife, Zana, have brought in a boy … I was thinking about the name, if he agrees to let Zana leave the Priarm, so lead the army, “says RTV Dukagjin Asim Gashi, a member of the KSF. The birth occurred at the American Clinic “Dr. Behar Kusari “, and according to Gynecologist Memli Morina, the mother and the child are in very good health condition. “It is a special feeling when a healthy child comes to life. Such is this birth. 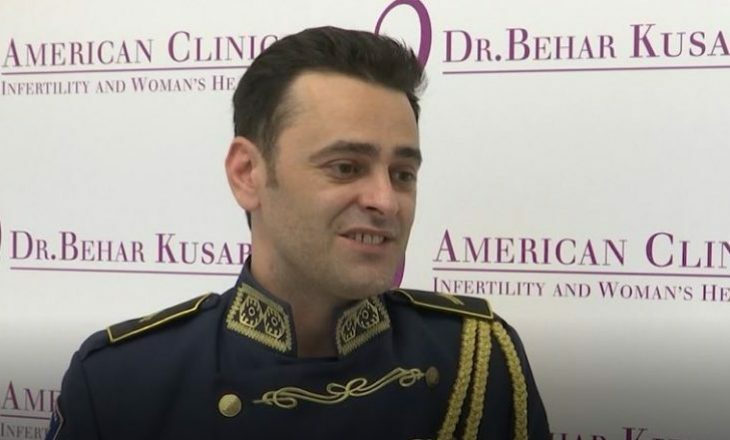 Both mother and child are in a healthy state … This coming to life makes it even more special that the child’s parent is a member of the youngest army in Europe, and this adds emotion to us, “Gynecologist Memli Morina said. Even Neonatologist, Faton Xhaka, says the baby is of the male gender and his health condition is excellent. “We just finished third birth this day at the American clinic” Dr. Behar Kusari “. The baby’s condition is excellent, male gender. We want long life and baby health, “said neonatologist Faton Xhaka. This was the third birth in this clinic. By chance, the first two babies were given the same name LEKE that symbolizes the tall historical figure.